Lot 34 Alloy Oval Diesel Worksplate. 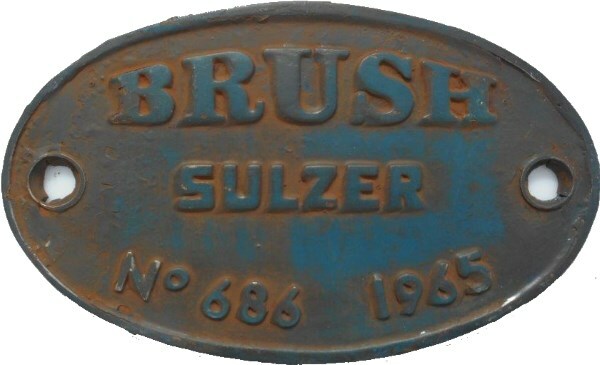 "BRUSH TRACTION No 686 - 1965". As carried by a class 47 D1924 / 47 247. As removed - Ex Loco. Some minor repair work carried out.